Anyone hearing anything yet. Getting started in southern part of the state. Im in the KC area, nothing yet here. This last weekend they were just started to break out from their wintering grounds. 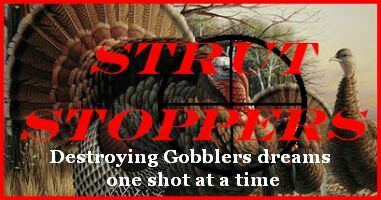 Haven't seen a strutter or heard a gobble yet. Any update from the northern part of MO? Headed up to the Iowa/MO border to hunt in a week and a half. In KC Metro area. Had no gobbling on the limb this morning, but about 15 minutes after shooting light had one respond not too far off from my first cadence of calling. Was dead 15 minutes later after he gobbled 30+ times all the way in. He had two hens with him, and one hung around well after the shot as if she had a nest in that tree row. Might have a lot of hens bread already, which could mean for a good season.